George Kennedy can recall multiple incidents involving unprotected workers and trench cave-ins. Unfortunately, some of those stories have tragic endings. One worker was killed in a collapse after removing a trench shield to retrieve a shovel. Another worker died after returning to an unprotected trench to grab a pack of cigarettes that had fallen from his pocket and a cave-in occurred. Kennedy, vice president of safety for the National Utility Contractors Association, is among those working to raise trench safety awareness. OSHA defines an excavation as “any man-made cut, cavity, trench or depression in the earth’s surface formed by earth removal.” A trench is “a narrow underground excavation that is deeper than it is wide, and is no wider than 15 feet.” The agency points out that 1 cubic yard of soil can weigh up to 3,000 pounds – approximately the weight of a small car. 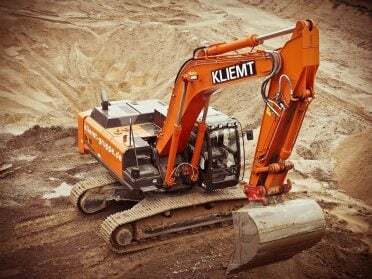 The fatality rate for excavation work is 112 percent higher than the rate for general construction, OSHA data shows. The agency lists “employee injury from collapse” as the primary hazard of excavation work and includes “no protective system” among the leading causes of worker injuries. According to OSHA, 23 workers were killed in trench collapses in 2016, surpassing the combined total from 2014 and 2015. No matter the nature of the work or depth of the trench, excavations are unstable, experts note. “Employers need to recognize that any excavation has the potential for exposure to serious injury or fatality, and have systems in place to verify that precautions are specifically identified and carried out consistently,” said Larry R. Russell, principal consultant at DEKRA Organizational Safety & Reliability. The OSHA standard for trenching and excavation – 29 CFR 1926.650-652, Subpart P – requires protective systems for trenches that are 5 feet or deeper, unless the excavation occurs in stable rock. A registered professional engineer must design protective systems for trenches that are at least 20 feet deep or approve tabulated data prepared for the system. Sloping (or benching). Cutting back the trench wall at an angle inclined away from the excavation. Shoring. Installing aluminum hydraulics or other types of supports to prevent cave-ins. Shielding. Using trench boxes or other supports to prevent cave-ins. Chris Cain, executive director of the Center for Construction Research and Training (also known as CPWR), stressed that excavations are dug in response to the needs of the worksite, and protective systems follow the same logic. When choosing protective systems, a safety officer or competent person must consider various factors, including soil classification, depth of cut, water content of soil, weather- or climate-driven changes, surcharge loads, and other nearby operations. Not every protective system is suitable for each type of soil. Employers should ensure workers are trained on trenching hazards and develop an emergency action plan. OSHA requires a safe means of access or egress – such as ladders, steps and ramps – to be located within 25 feet of all workers for excavations 4 feet or deeper. Workers should keep heavy equipment away from trench edges, keep surcharge loads at least 2 feet from trench edges and never work under raised loads. Following these guidelines helps limit struck-by incidents, Kennedy said. Wearing high-visibility clothing such as shirts, jackets, sweaters or vests can contribute to mitigating yet another hazard for workers in excavation: worker visibility. Preplanning is paramount in excavation work. The designated competent person leading the operation takes a central role by mastering OSHA regulations and recognizing existing and potential hazards. As required by Subpart P, the competent person must inspect trenches before work starts, as well as after events in which conditions change or hazards increase, such as rainstorms. “Inspecting is a big deal for trenches, because the conditions change from day to day if a trench is open for a long period of time, or even for more than one day,” Cain said, adding that atmospheric hazards also might arise from work and could resemble those found in confined spaces. A job near an underground natural gas line, for example, would warrant air sampling. Employers should call 811 before digging so utility workers can come out and mark the locations of underground lines. Further, Cain said, crews working near old landfills should be mindful of a possible exposure to methane gas or hydrogen sulfide – an odiferous, toxic gas. Russell recommends a competent person consult OSHA’s technical manual on hazard recognition in trenching and shoring. Is the cut, cavity or depression a trench or an excavation? Is it more than 4 feet deep? Does it contain water? Are there adequate means of access and egress? Are there surface encumbrances or exposures to vehicular traffic? Are adjacent structures stabilized? Is equipment operating near the trench or excavation? Does the equipment have warning systems? Does the trenching or excavation work require sloping, shoring or shielding? If shielding is used, does the shield extend at least 18 inches above the surrounding area if it is sloped toward the excavation? Is the depth of the cut more than 2 feet below the bottom of the shield? Subpart P states that trench backfilling “shall progress together with the removal of support systems from excavations” as work nears its completion. Once backfilling is finished, Cain recommends evaluating work during a post-job discussion.